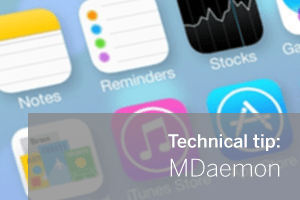 MDaemon provides support for all of the major mobile platforms via its integrated ActiveSync support, so it’s nice and straight-forward to connect your device, whatever it might be, and have your email, calendar, contacts and other important data available on the move. Until the recent release of iOS 7, there’s never been the option available on the iPhone to synchronise notes, however we’re pleased to let you know that it’s here, and it couldn’t be much easier to enable! So,. 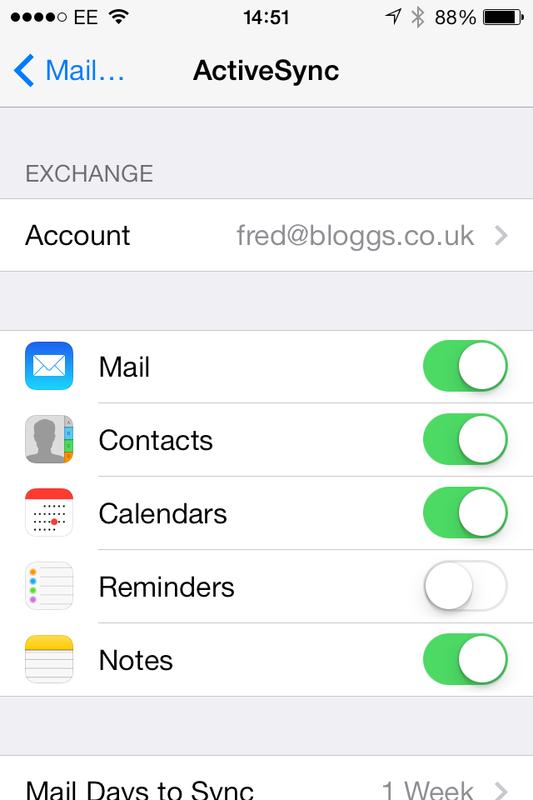 if you’d like the ability to view the notes you’ve been keeping in Outlook on your iPhone, all you need to do is select the option below in your ActiveSync profile and you’ll be synchronising them both ways. As with most ActiveSync devices, as a user you can choose which data to synchronise with your device. ActiveSync is available as a 60-day trial! ActiveSync doesn’t require an additional download but you will need to enable the trial from within the MDaemon console. Simply navigate to Setup > Mobile Device Management > ActiveSync and then choose the ‘enable ActiveSync’ option. Pricing and full details regarding licencing can be found on our Web site here.